So I admit it, my favourite part of the holidays is the shindigs – the good, the bad, the ugly, I love them all. It’s the only time of the year where you can actually wear those outfits you bought “for that time when I need to get dressed up” and over indulge on food and drink while mingling with people you may or may not like the rest of the year. Everyone, I mean everyone, has a good Christmas party story and usually the cocktails played a role. 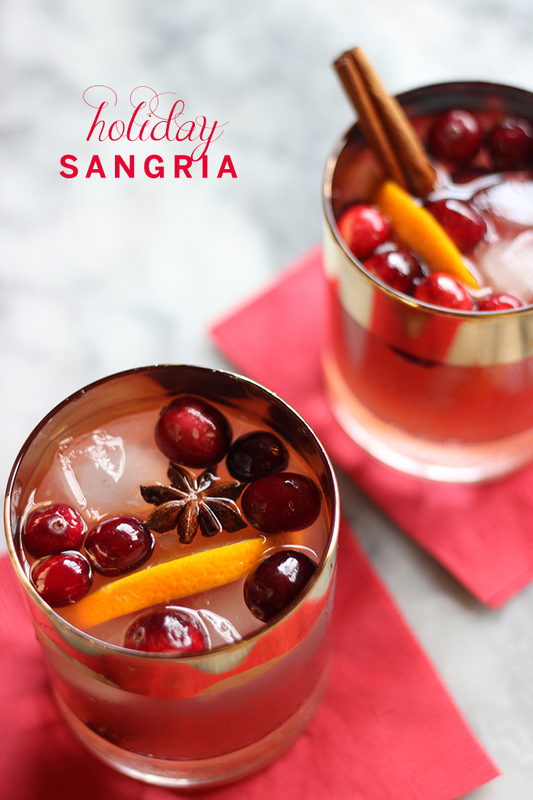 Today I’m going to share with you this holiday sangria recipe from Ricardo that’s sure to spice things up at your festive party. Who says sangria is only to be enjoyed on a sunny summer day? No way, you can enjoy it all year long, just change up the flavours. 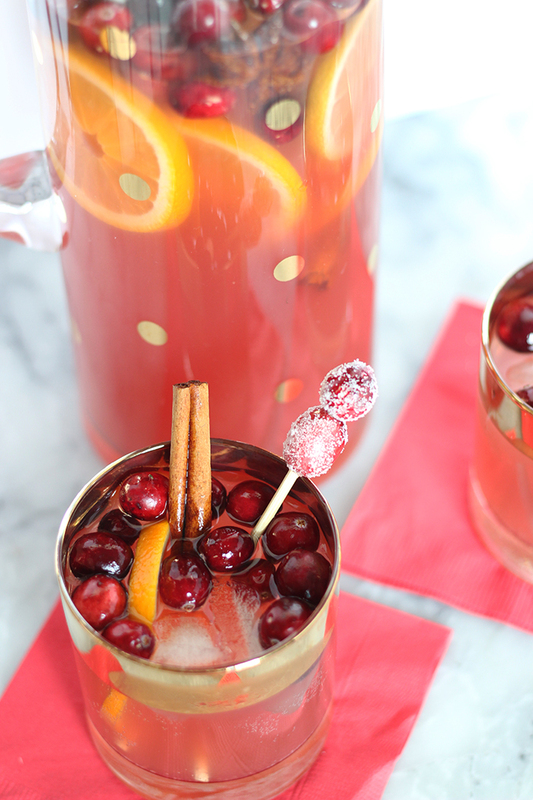 What makes this holiday sangria recipe festive is the cinnamon, clove & anise spices. It’s like drinking a gingerbread man, but sweeter with some fizz. Here’s what you’ll need to make this Holiday Sangria and if there’s anything you really don’t love, feel free to leave it out. I like to keep these types of recipes pretty flexible because it depends on your tastes and how much you’re making. Cocktails mixed in batches like this can be forgiving. 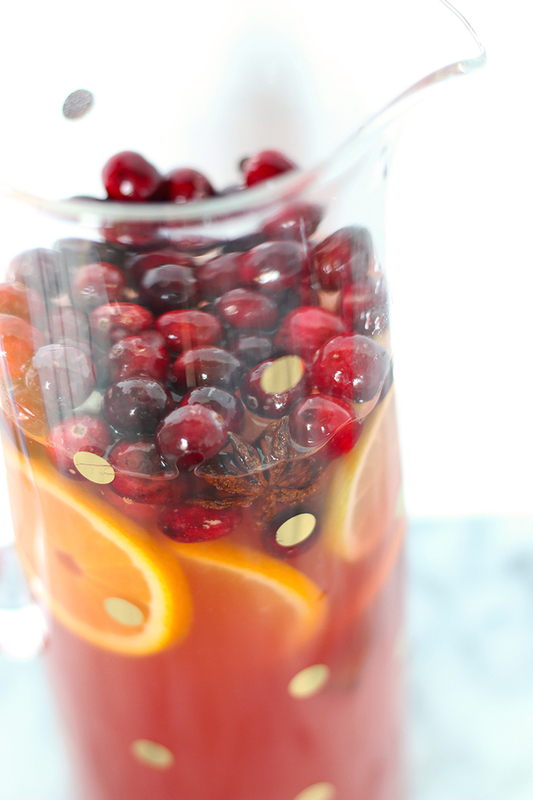 Ideally you prep this sangria the night before you want to serve. • Pour equal parts cranberry juice and orange juice (I used 4 cups) along with 1 part vodka (1 cup) and 2 part (2 cups) red wine. 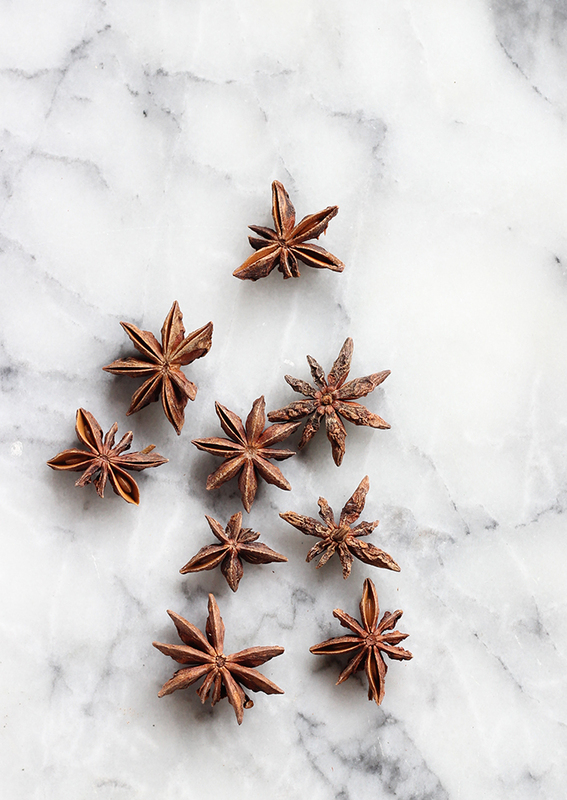 Add 1 star anise, 1-2 cinnamon sticks, 2 cloves, and the lemon/orange slices. Give it a stir and put in the fridge overnight. • Add ginger ale (to taste depending how strong or bubbly you want it) and ice cubes just before you’re ready to serve. Enjoy! You can remove the spices before you serve if you don’t want the sangria to get too spicy. You can also add extra spice if you want even more flavour, totally up to you! 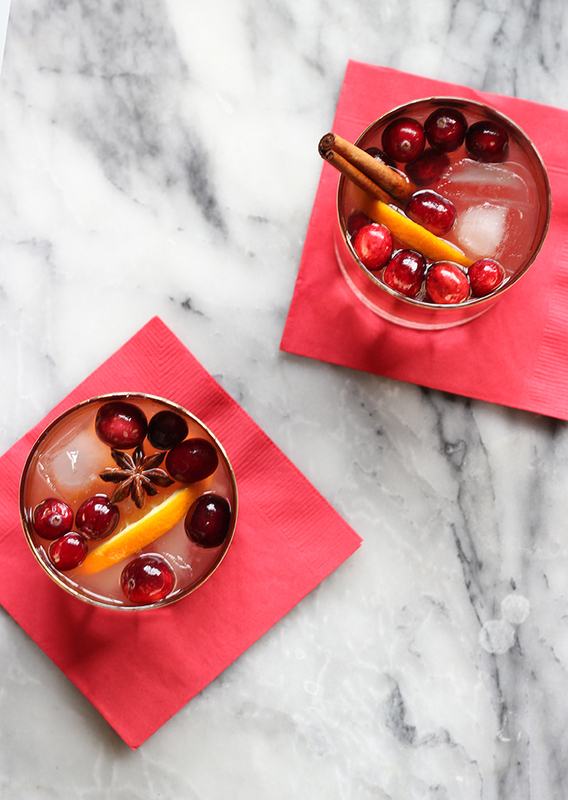 Use the cinnamon sticks & star anise to garnish drinks. 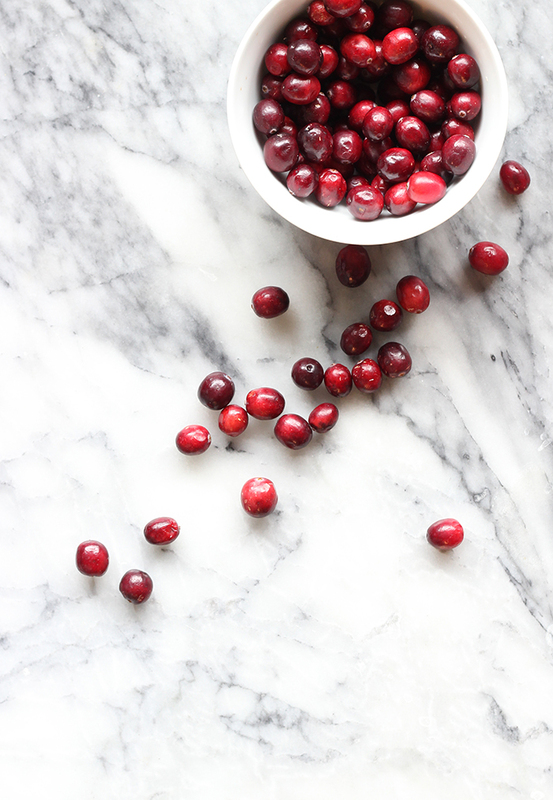 I decided to get a little fancy and also made these candied cranberry stir sticks the night before as well. It’s really easy! Toss them in a bit of diluted maple syrup (or simple syrup), let them dry on paper towel until they’re sticky but not wet then toss in sugar. It’s just a nice extra touch to wow your guests. I think you and your guests will find this drink so tasty that you’ll be looking for a top up in no time. 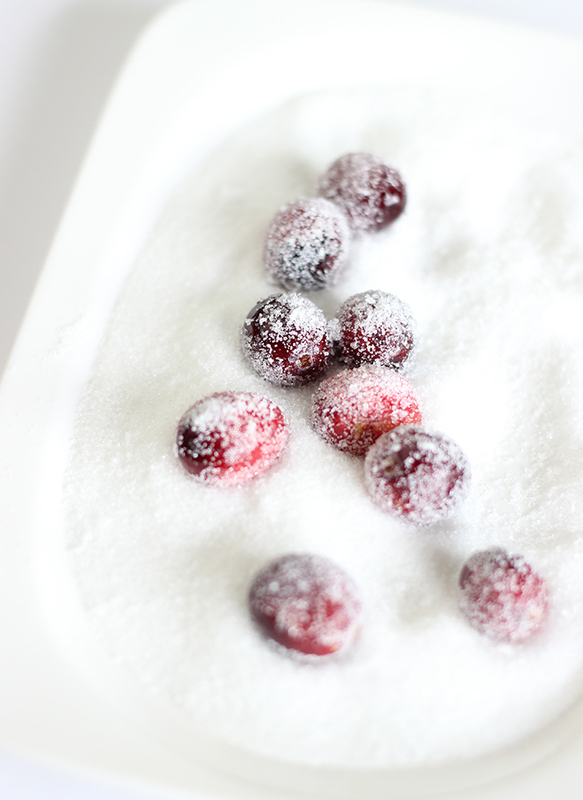 If you’re hosting a holiday party and looking for a few more festive ideas you can find this and many more holiday food and drink recipes on Ricardo’s website. Cheers to the holidays! 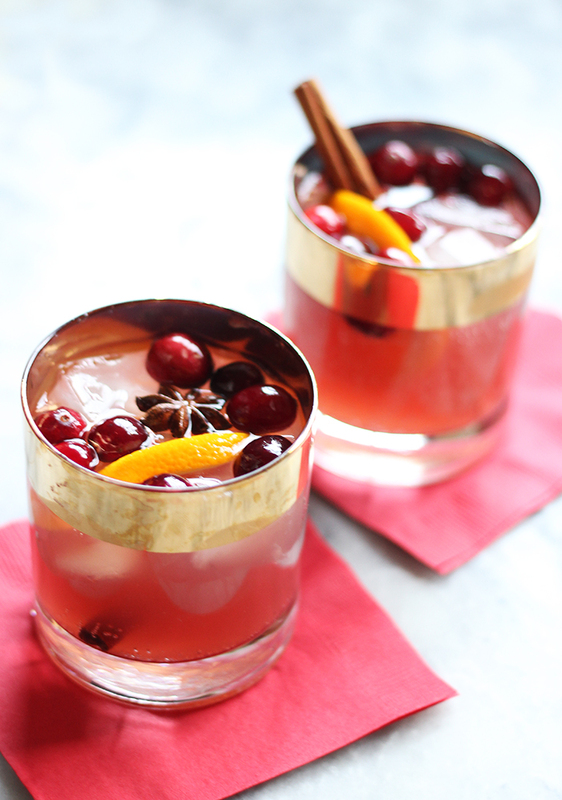 I LOVE cranberry and ginger ale for the holidays, it’s perfect for cocktails – I’ve never added wine but perhaps I will this year! 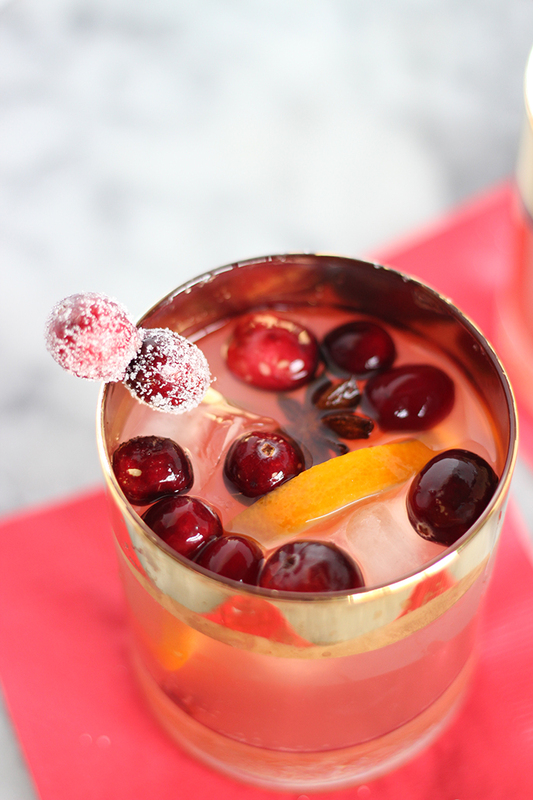 How much wine and ginger ale should I add if using 4 cups cranberry and orange juice? Hi Jen – it’s more of a ratio type recipe. If you read the copy I include how many parts of each I used but feel free to modify to your taste level. The amount of gingerale you add will determine how strong it will be.